Tesla on Patents: Open Source Altruism or Shrewd Business? Elon Musk inhabits a particularly influential space in the world of innovation by proving himself as a masterful entrepreneur in the 21st Century. He helped to establish the digital payment system known as PayPal; in the second quarter of 2011, this online service processed $28.7 billion USD in transactions. He was involved in the development of SpaceX, a space transit services company which has earned nearly $5 billion in contracts, including at least $1.6 billion from NASA for International Space Station resupply missions. His many other ventures, including solar energy technology manufacturing company SolarCity and electric vehicle manufacturer Tesla Motors, brand Musk as a new kind of corporate capitalist who can thrive by developing sustainable technologies. In the patent world, Musk has been creating some waves in his role as CEO of Tesla Motors. In a self-authored blog post published on the official Tesla Motors blog, Musk announced that the company was trying to make the company ‘open source’ by allowing other people to infringe on their patent portfolio with the supposed intent of encouraging the development of electric vehicle technologies. Interestingly to us, his comments in the post, titled “All Our Patent Are Belong To You” and published on June 12, explain: ” Tesla will not initiate patent lawsuits against anyone who, in good faith, wants to use our technology.” But who is to decide if one is acting in “good faith”? Musk left the Zip2 web software venture in 1999 when the company was sold to Compaq for more than $300 million in cash and stock options. Since then, plenty of patents have been assigned to PayPal and SolarCity, although there are no instances where Musk has been listed as an inventor. However, both SolarCity and Tesla Motors have filed patent applications with the U.S. Patent and Trademark Office as recently as February 2014. The question begs to be asked whether Elon Musk is truly avoiding filing for patents whenever possible, and if his rhetoric implies something other than its face value. He insists that the patents have been dismantled from the wall of the Tesla Motors headquarters in Palo Alto and that this represents the “spirit of the open source movement, for the advancement of electric vehicle technology.” But why does the company continue to file patent applications with the USPTO? The decision to make Tesla Motors patents ‘open source’ stems from a desire to encourage the development of electric and hybrid vehicle technologies among car manufacturers, according to Musk. Of course, it is hard to ignore the reality that several weeks before this allegedly altruistic proclamation by Musk, Toyota announced that it would be phasing out its deal with Tesla Motors. Not surprisingly, a little more than a week after the Musk announcement Toyota unveiled its hydrogen car. Time is reporting that the car will be introduced first in Japan in 2015 and eventually in the U.S. market during the summer of 2015, likely at a price tag of $70,000. One has to question whether the technology has stagnated as Musk alleges, or whether Toyota has found paradigm shifting innovation, moving toward a hydrogen energy economy. Given the Toyota announcement and 2015 hydrogen car it looks like Musk may be opening up his patent portfolio in a last ditch effort to retain market share. More than 200 U.S. patents have been assigned to Tesla Motors, and these patents represent a wide degree of innovation in the field of electric vehicle fueling and energy storage. One of the inventions which had been protected by Tesla is the company’s Supercharger technology, which can add 170 miles of range to Tesla’s Model S in 30 minutes. Based on Musk’s remarks, companies could build cars incorporating this technology without the threat of legal action for patent infringement, but will companies want to pursue this path or the promise of hydrogen? Some media outlets have already reported Musk meeting with executives from companies like BMW to discuss collaborative efforts in utilizing Tesla’s intellectual property. That discussion has centered around the use of Tesla’s Supercharger infrastructure, which at the time of this writing includes about 98 Supercharger stations strewn across the United States owned by Tesla. These stations only cater to Tesla Model S vehicles currently. The market success of Android and other open source business models are quickly cited by most media analysts discussing this story. In the eyes of many, Musk’s move is a courageous Silicon Valley-style stab at taking on a major sustainability concern in the automobile market. It is important to remember that, because Tesla Motors retains these patents even if they’re not symbolically displayed at the company headquarters, Elon Musk remains the final arbiter as to what constitutes a ‘goodwill’ use of Tesla’s patented technologies. Musk may doubt the ability of Tesla to build enough cars to address issues posed by fossil fuel use, but he surely cannot doubt Tesla’s ability to manufacture enough lithium ion batteries to power that many vehicles. Indeed, the Gigafactory being developed by Tesla Motors is designed to support the development of mass-produced electric vehicles by driving down manufacturing costs for lithium ion batteries by 30 percent. Tesla Motors has announced that they expect the Gigafactory to be fully operational by 2020. But again, the timing of the patent announcement in the wake of Toyota phasing out Tesla and unveiling its own hydrogen car makes one wonder whether the patent altruism has more to do with an attempt to stave off other technologies so that the Tesla battery technology will be used royalty free. With Tesla making the batteries if other car companies use the Tesla technology and buy the batteries from Tesla that could result in a lot of money. Therefore, it will be interesting to see how “open” Tesla makes its intellectual property portfolio. Will that extent do allowing others to manufacture the batteries as well, or does Musk’s altruism stop at the manufacturing floor. Elon Musk says that his true competitor is the massive worldwide fleet of gasoline vehicles, but he may be understating a threat posed by development of hydrogen-powered vehicles, considered by many to be a viable alternative to lithium ion electric vehicles. Toyota plans to release a hydrogen-powered sedan in 2015 in Japan which can be refueled in three minutes, providing a 430-mile range. The sedan, which will likely be priced at about $70,000, offers a quicker charge time and a further driving range than Tesla’s Model S and only produces water vapor as exhaust. By encouraging the implementation of lithium ion technologies by American car manufacturers, Tesla may be attempting to secure a stake in alternative energy industries against hydrogen fuel cell energy storage. Within five days of Elon Musk’s blog post announcing Tesla’s open source philosophy, the company’s stock price improved by almost $30 per share. There’s little doubt that Musk’s announcement contributed to an increase in Tesla’s short-term value, or at least didn’t hinder stock value. As well, Musk has positioned himself as the open source provider of electric vehicle technologies, at least for the American market. The proliferation of electric and electric-hybrid vehicles on our streets may be a noble goal, but Musk’s comments on patents don’t exactly align with the patent filing activities of Tesla Motors, and it seems clear that he has a financial interest in encouraging lithium ion battery use in vehicles. We encourage any company considering to take up Elon Musk on this offer to be cautious, as the infringement that Tesla allows today may become a sticky legal situation later should the corporation reverse its stance and decide to enforce its patents. There’s another slight touch of irony to this situation that deserves to be pointed out. By refusing to enforce these patents, Musk’s actions hearken back to the Serbian-American inventor Nikola Tesla, the company’s namesake. Tesla owned many patents in his lifetime, but his decisions not to patent certain technologies led to financial hardships in his life. It’s possible that, by focusing on the wealth to be generated by lithium ion battery production, Tesla might give itself a powerful position in the electric vehicle industry, or it could founder through the loss of its intellectual property protections. Time will tell. As for his stand on patents – who gives a *hit ? The answer to why he files for patents even if he doesn’t believe in them is pathetically simple. The system is set up to punish you if you don’t. If he puts out a car with a novel new item in it, and he doesn’t file a patent before he does, under first to file rules, someone else can then go patent that novel new item and sue him. Yes, he can probably get out of the suit eventually without paying royalties by showing prior art, but that’s still a lot more expensive than simply filing the patent. This makes patents more of an insurance against lawsuit, than it does something that promotes innovation and brings in cash, in certain situations. Sad it isn’t just Musk. Look how many Chinese companies file PCT and run them through to WO publication, then fail to follow through to the national phase in the USPTO or the EPO. Defensive or what? Shrewd or what? Of course the advantage of publishing by patent application rather than by research disclosure is that the patent application is deemed to have been published 18 months earlier than its actual publication date. So your blocking effect operates 18 months earlier than your revealing to your competitors what you are about. SadPanda, please talk to a patent attorney to understand the law before you post. Oh, my apologies Anon, I didn’t realize that you had been made the gatekeeper of all internet postings. I’ll be sure to seek your approval before posting anywhere ever. And patent attorneys wonder why non-patent attorneys have an opinion of patent attorneys (and most attorneys) that ranks them somewhere between pond scum and politicians. So he is running a business and can do anything he wants to.Article may be right but open sourcing patents will definitely increase the production and sales of low budget electric cars which is very much the need of the hour. So creating such a controversy as to what the conspiracy behind this move is irrelevant. Not a gatekeeper, SadPanda, but what you post is in such disregard for the law (and in such clear error), that your post is simply not helpful to anyone. Certain basics should at least be attempted. That’s not asking all that much. Musk’s record to date is impressive. I wouldn’t dismiss him just yet regarding his recent announcement. Re Toyota’s announcement of a near term future $70k hydrogen powered IC engined vehicle, what is their vision for supply and distribution of the hydrogen, and at what cost? BMW was keen on development of hydrogen powered vehicles more than a decade ago, then decided to shelf their work. Hydrogen storage presents considerable costs in and of itself, and a hydrogen leak has no smell and a hydrogen flame is not luminescent; thus such vehicles and refueling systems for such vehicles will require safety measures beyond those required for today’s IC engine powered vehicles. Why does not Tesla abandon all of the patents / cause them to lapse? Why does it not stop filing any patent applications? Clearly the patents are being obtained and maintained/retained for some reason. Patents only convey a right to exclude others. If Tesla truly wanted to “include” (rather than exclude) everyone then all it need do is PUBLISH all of their R&D, every possible invention it would have filed for, etc. on an ongoing basis. This would create an ever expanding “bubble” of anticipation and obviousness which could protect their “altruistic” technological territory from patentability. Instead the choice is to keep and file patents… they are building an industry, standards, pools or whatnot which they will be able to capitalize on in the future. Don’t get me wrong. THIS is a good reason to keep patents and work with others…build an industry, make money. But licensing (de facto) for building an industry or industry standards is not altruistic nor should it be disguised as such. I am reminded of the hype and marketing battle between Beta and VHS. As I recall from a friend in the industry at the time, Beta was clearly the better technical platform. There is an important, albeit subtle lesson to be learned there. Strange how this article includes references to hydrogen fuelcell cars from Toyota as some kind of threat to electric cars. It’s almost as if the writer believes having the potential to replace your flammible car with an exploding version was a good thing and alternative technologies are somehow all the same. When hydrogen fuel is extracted through a catalysing reaction within the vehicle from a more stable fuel medium then perhaps hydrogen will be viable but for now refueling safety requirements, along with leak prevention, and crash damage mitigation will hold that particular technology away from practical use on the roadway. Toyotas’ fuel cell vehicle is a “compliance car”, created to meet Californias’ (some would say ridiculous) regulations that a minimum percentage of vehicles sold are zero emission types (see here – http://www.greencarreports.com/news/1068832_electric-cars-some-are-real-most-are-only-compliance-cars–we-name-names for example). These vehicles will not turn a profit for their manufacturers. Hydrogen fuel is not a source of energy – it is an inefficient method of storing energy. You sound like an old-timer who refuses to acknowledge the march of science. Of course hydrogen cars ARE a threat to electric cars. How you or anyone else could come to a contrary conclusion is perplexing and suggests you have some kind of agenda other than fact. Toyota terminated its arrangements with Tesla Motors, several weeks later Toyota announced the release of its 2015 hydrogen car. In between Tesla goes open source with their patents? Curious timeline. Whether you think hydrogen is too risky it is going to be a reality sooner rather than later. Toyota wouldn’t have ended its relationship with Tesla Motors if they were not convinced that they didn’t really need Tesla’s battery technology. Anon isn’t the keeper of what is posted here, but I am. More is expected of comments here on IPWatchdog.com. You are choosing to comment about a legal issue that you obviously are completely unfamiliar with. Comments that are objectively incorrect are not tolerated. So either inform yourself or go elsewhere. This type of erroneous commentary does nothing but get in the way of a fact based discussion grounded in reality. It won’t be tolerated. You are welcome to your opinion, but you are not welcome to your own facts. You are wrong, Anon is correct, and you obviously know nothing about patent law. The fact that you choose to comment on a topic you are completely unfamiliar with doesn’t make patent attorneys the problem, it makes you the problem. If Tesla discloses an invention someone else cannot then copy Tesla and get a patent themselves and then sue Tesla. 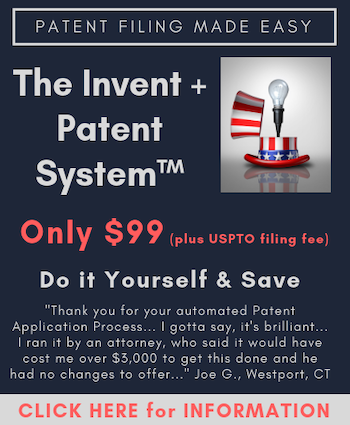 The patent system didn’t work that way prior to the America Invents Act and it most certainly doesn’t work that way now. Your hysterical fears are the problem, not the law and not patent attorneys. Inform yourself, lose the name calling or go elsewhere. Apologies Gene if I stole your thunder – SadPanda’s comment just struck me as one that had some pretty heavy emotion wrapped up into a completely wrong statement of law, and seemed to be made in a far too personal manner. SadPanda, it is is not that comments absolutely need to get the law right. Heck, even lawyers argue about that. The point I wanted to stress was that the errors you seemed so emotionally charged about are errors that anyone taking a cursory look into this field would not make. They are errors of a first degree, “everyone knows otherwise” nature, and the level of your emotion seemed to exceed any sense of reason. Clearly, you are “charge up” about something. And “shooing” you away won’t help you realize that you may be charged up over the wrong thing, which will not help you appreciate what the law is or why the law is as it is. No problem whatsoever. I’m glad you called him out on it. I just didn’t like the way he responded that you weren’t in charge of moderation. So I thought I’d step in and set the record straight. You were exactly correct. SadPanda needs to inform himself if he wants to comment on a legal blog. If he wants to continue to embrace ignorance and paranoid, erroneous views he must go elsewhere. The problem you are having with my comments is that you are approaching it from the concept that people who apply for patents tell the truth. That may be the case, but it also may not be the case. The PTO has a massive load of applications, and the examiners are overworked. It’s not hard to slip a bad patent past them (I’m sure I don’t need to place links to bad patents in the news, yes?). Even you, Gene, have to admit that there are less than scrupulous people who will do anything they think they can get away with and that not every person who applies for a patent discloses prior art. What you mean is, that if someone was to do such a thing, the patent could be invalidated. However, that would require money, time and effort. A lot of money, even with the new methods of challenging patents. It would certainly cost sufficient money that it’s probably cheaper to patent it yourself and then release it rather than have to be bothered with it. Especially if you want to release it with strings attached to that release. I don’t have to believe solving a situation with a gun to believe that there are people who will shoot me for a $50 pair of sneakers. So even if he doesn’t believe in patents, that doesn’t mean he doesn’t recognize that others do, and that pre-emptive self defense makes more sense than flashing money around people who may be less than ethical. As to insulting, I stated a fact. There are people who have extremely low opinions of lawyers. And Anon’s post ignored what was said by hand waving that non-lawyers don’t understand. We understand a lot, we understand that there are unethical people who will do anything to make a buck. Such people have no issue with filing patents or law suits with little or no real chance of winning, while offering to settle for less than the cost of defending the lawsuit. If there weren’t, you would not be so upset at the proliferation of calls for patent reform. It’s this attitude that no-one else can have a valid opinion that leads many people to have extremely low opinions of lawyers of all stripes. And that is what I was pointing out to Anon. If you want him to police your comments, that’s great, your blog. But non-lawyers can recognize that what is unethical is not always illegal, and that there are plenty of attorneys out there who have no issues suing over the most specious of patents, or even withholding prior art when applying, and then suing people with their unethically obtained patent. And it’s very hard to prove deliberate witholdings. I’m sure I’ll be banned for responding of course. It’s the difference between someone in the system who believes in it and dismisses bad players as ‘a minor issue’ and someone outside the system looking in and seeing this and saying the emperor isn’t wearing clothes. Human beings are a vast mix of peoples, some are logical, some emotional, some look at what is going on and respond with reason, others scream the world is ending and run around aimlessly. Some will go out of their way to help another person, others go out of their way to avoid people in need. Some have ethics and try to use the system as it was intended. Some try to play the system in any way they can to and game it until it groans in pain. So while Anon and you may be correct that what I said was not the way things are supposed to work, I stand by statement that someone could attempt it to game the system and gain patents they shouldn’t have. It’s been done before, it’ll be done again. I’ve never lost a bet betting on the capacity for humans as a species to be unethical. No. I reject your characterization of our exchange. You ascribe a problem which misses the mark of the problem I identify. Rather, it is you with the problem. I do not mean to sound condescending, but you are projecting your issue of suspected honesty on me, when nothing in our conversation would support the view that you post. A much better way of you expressing how you feel is to own the feeling. Just say that you suspect that applicants are not being truthful in their applications. Your current approach is an unwarranted one of tarring the entire system as a form of justification for your own emotional rampage. Let me ask you: do you think that some people cheat on their taxes? Do we get rid of the entire tax system (and all that system supports) because of the fact that some people cheat? Are you aware that the patent system has penalties for those who are not truthful? Is examination 100% thorough? Or a better question, is examination even built to be 100% thorough? I do not think that you are aware enough of the system to be making the comments you are making. You are again making mistakes of the first order. No one has to obtain a patent to block others. Simple publication suffices. If you “want strings attached,” well of course that’s a different thing – then and equally of course, you do need to ascribe by the rules – just like anybody else who may want strings attached. Strings are not for free, nor should they be. The whole “insulting/fact” thing is quite silly. You misspoke the law and badly so. I merely pointed out that the law you misspoke is one that but for a small effort would not be misspoken even by a novice. If your aim is to be banned, then congratulations, as you are well on your way. There are plenty of forums where emotion-laden and thoughtless people can say whatever they want about the law, but this is not one of them. Here, an expectation has been created that you will care enough to not misrepresent the law knowingly. This can come across as a harsh filter, but it is not, as it really does take minimal effort to understand the basics (and understanding the basics will help you with your emotional issues). Your “fact” was inapposite to your post.There was no rational relationship between the fact you presented and the conclusion you wanted to draw from that fact. You seem to lack a basic appreciation that real legal systems – of all kinds – operate in an imperfect world. Another fact for you: there are irrational people in the world for whom nothing will ever be “right” or “fair” or “just.” Would you really want to try to accommodate every irrational person in the world? As to your attempt to identify and “represent” a larger group of people – well, if you want to do that, then the importance of you understanding the basics of what you want to vent your emotions about becomes more – not less – important, and my comment becomes more – not less – on point. You exhibit a fundamental lack of understanding of law, what law is, and the role of lawyers in the legal system. Your type of “we” is, quite frankly, irrational. Your “message” is nothing but “no patents because there are bad people out there.” Your “logic” can be applied to any and all governmental systems. All systems operate with the same underlying fact that there are bad people out there. Your “fact” is known and is already accounted for in the system that you seem unwilling to give even a minimum level of effort to understand. And as I explained (and if you care to listen), it is not a matter that “you must be a lawyer,” but rather, it is a matter that you must at least understand the basics. If you don’t care enough to understand the basics, then your emotions are exactly like those of an irrational rant. You confuse the ability to have an uniformed opinion with having a “valid” opinion. Even irrational people have the right to their opinions and no one is arguing otherwise. The difference of being able to scrutinize an opinion and to give that opinion more – or less – weight is quite a different matter. Do you understand the concept of critical thinking? It appears that you do not want to employ – or even have others employ critical thinking. What you were attempting to point out to me was not quite the message that you did point out. I suggest that you stop, think and compose your message a bit differently if you care to have your message heard (a direct point is that both Gene and I told you that I am not a monitor, and yet (again) you write as to intimate such – are you aware that the message this attempted snark gives is that you (yes this becomes a “you” problem) are not capable of listening to others? The message that you are sending is that you are only interested in saying what you want to say, no matter how disconnected you are from the reality of the topic you want to rant about. Again, my advice to you is to stop, think, and compose your message. If you care enough to want to be heard, you might want to have your message heard – your signal is far too obscured by the noise that you are generating. As to proving deliberate withholdings, you do realize that you do not have to do such to knock a patent out, right? Sure, you do need to do such for elevated findings of misconduct, but such only aligns with our overall judicial system of being innocent until proven guilty. Perhaps you wish to challenge and change that legal principle (I tend to doubt it – and this just shows yet another area that you have failed to think through). As to be being banned – it surely will not be for merely responding. And that is why I take the time to compose this message. If you are banned it will be because of the lack of care in how you respond. You are simply being thoughtless, careless, and even purposefully spiteful on an important topic. There is indeed little latitude on this site for that behavior, and plenty of other forums out there for such open recklessness. On the other hand, if you want to rationally discuss something – even something you feel strongly about, I suggest that you take the minimum care being asked of you, and understand what it is that you are talking about. If you cannot even bother to understand a baseline understanding of the topic, your generalized “there are some bad people out there” signal is far too obscured with noise of your emotional rant and you will be – justifiably – filtered out. No doubt (given your lack of care), you will incorrectly assume the wrong message – that you are being screened out for the content or message that you want to share. That is just not so. As I posted, it is not “having the wrong beliefs” that will have you banned – it is not caring enough to respect the topic you want to rant about that will get you banned. The ironic thing about that, is that your own stubbornness can be considered a form of unethical behavior. You are choosing a selfish and lazy path when you are being informed of the level of due care that is required here, and you are choosing not to listen to the calm advice that is being shared with you. That you feel strongly about the injustice of some having patents they should not have is evident. That you appear not to care at all about having a baseline understanding of the system you wish to criticize is also evident. That you lack the appreciation of the civility that is being asked of you is also evident. That you are not willing to abide by simple and easily met rules is also evident. Stop. Think. Compose yourself. If you are banned, it will not be because of what you say – it will be because of how you say it. Be clear on that. NO. The problem what you say is simply false. You are wrong. I am not going to tolerate anyone making factual statements that are erroneous. It is really that simple. You just don’t know what you are talking about. What people think of lawyers is immaterial to the truth and is not a justification for you making clearly erroneous statements of law. Further, if non-lawyers don’t understand the solution is education. I have tons of educational information on IPWatchdog and every Saturday we post a basic article aimed at newbies and other non-lawyers. But if you are going to comment on a law article written for lawyers and an other sophisticated, informed individuals you do not have the right to post things that are clearly wrong. I know many blogs on the Internet will allow anyone to post anything. That is not the IPWatchdog way. Everyone is entitled to a respectful opinion, but no one is entitled to engage in hysterical rants that are simply not based on fact or reality. More is expected here. But that isn’t you. You are not pointing out that the patent system or patent lawyers are naked. What you are conclusively proving is that you are the one who isn’t wearing any clothes. What you write is fundamentally wrong. What you complain about as happening could NEVER happen. You don’t know what you are talking about because you don’t understand the law. Of course. As in any system the rules can be exploited. But that is hardly news. I’m sure you exploit the system when you file taxes, by accepting whatever tax breaks or credits you are entitled to receive to minimize your taxes. So for you to tar the entire industry because people have the audacity to use the rules to their advantage is asinine. It also isn’t what you said. You made clearly erroneous statements and then became very upset when you wanted to justify your point of view claiming ignorance as a non-attorney. If you are that unknowledgeable then you simply cannot have an informed opinion. In that case you should be listening, learning and THEN forming an opinion. I do understand that some technically minded people become so emotionally charged that they forget (or don’t recognize) that law is involved and that law has a deep history of structure and meaning that should at least be attempted to be understood before an emotional rant is released. All too often, this type of plea – for at least a nominal understanding – is mistaken as an attempted bar to comments from non-lawyers, and such is simply not true. This non-truth is then twisted to portray a “gaming” of the system by attorneys – and it is this unmitigated and unsubstantiated accusation permeating the emotionally charged posts that is deeply offensive – and, no matter how calmly this offensive behavior is pointed out, the offensive nature is ignored. I agree. Some non-lawyers (particularly those who interject themselves into a legal discussion) think they know as much as do lawyers, which is as ridiculous as it actually sounds. They think that their understandings should be given full consideration even when they are completely wrong. I am getting really sick and tired of folks like SadPanda who complain that I don’t take them seriously and refuse to acknowledge what they say as legitimate. I refuse to acknowledge what they say when they are wrong. So many people don’t like hearing they are wrong, which is probably a sad commentary about the state of intelligent discussion and debate in America. People don’t understand the difference between an opinion and an incorrect statement of fact, or a clearly erroneous legal statement. They don’t like being told they are wrong likely because they have never been told they were wrong; sheltered in a society that accepts factual errors and mischaracterizes errors as a legitimate viewpoint. Errors are errors. I’ll keep saying over and over. Everyone is entitled to their own opinion based on the fact, but no one is entitled to misrepresent facts. Basing an opinion on erroneous facts or an erroneous view of the law means the opinion is invalid. It is interesting to note that the “read more posts” functionality of the website is flawed. Both this thread and another current thread (“Understanding Patent Claims”) dealing with a contested point are not showing up when the “more articles” hyperlink at the bottom of the page is clicked. At first I though this was due to the “rollover” effect that sometimes temporarily clips an article as it moves off the front page – but this Tesla thread is not showing, even though articles before and after do show. One must instead click on the archive hyperlink and pick the July 2014 list in order to access the articles. Well, I’m a lawyer and so far I cannot find a connection between going open source and trying to sell your product to equip someone else’s product. In fact, going open source could lead your potential buyers to manufacture themselves whatever part you wanna sell them. So, suggesting that Tesla went open source to sell there home made batteries to other car makers is total nonsense. Same, btw, for believing that Tesla should not patent their inventions at all if they want to open source them afterwards. SadPanda is absolutely right about this in his argument: the system – not just in the US, this is international – requires you to patent your invention before somebody else does, or you risk losing it to some shrewd head. Sure, Musk should make it very clear what the conditions are to use Tesla patents free of charge, and we are yet to see to see that. But that would reduce this article to a single paragraph, wouldn’t it? Cheers, SadPanda! From a lawyer. there/their… gotta love my android auto spell checker. Sorry for that. You say that “just in the US, this is international – requires you to patent your invention before somebody else does, or you risk losing it…” Not quite true – public disclosure will (in theory, not always in practice, unfortunately) prevent someone else from patenting. Tesla can’t profit from their patents if the market for EVs’ doesn’t widen (including 3rd party infrastructure for recharging), and that isn’t going to happen if they want to maintain a monopoly on the technology, so I can see the method in their madness.